Right-wing media are criticizing Maxine Waters over civility. Here’s what they’ve said about her in the past. Right-wing media are criticizing Rep. Maxine Waters (D-CA) after she encouraged people to publicly protest Trump administration officials who are complicit in the atrocious family separation policy at the U.S border. But the “civility” these outlets are touting has been absent in their many vicious past attacks on Waters. For more than a month, the Trump administration separated immigrant children from their asylum-seeking parents and detained them in child prisons, apparently with no plan in place to reunite the families. The administration took infants as young as 3 months old from their guardians, kept children in cages, and deported some parents without their kids -- while officials continuously lied about their own policy. President Donald Trump has since signed an executive order ending the policy of family separation, but the order’s future might be in jeopardy given that it calls for the inhumane and likely illegal policy of indefinite detention of migrant children (with their parents). And for those families already separated, some parents may never see their children again, and the administration has offered other parents -- many of whom sought asylum after fleeing violence or persecution -- an impossible choice: They can continue seeking asylum and risk not seeing their kids for the duration of the case, or they can be reunited and deported. In the face of this atrocity -- and the administration’s many others-- people have begun to stage peaceful protests against the architects and defenders of family separation. On June 23, Waters joined those cheering on the protesters’ efforts, encouraging people to continue putting pressure on Trump officials. Speaking at a rally, she said, “Let’s make sure we show up wherever we have to show up. And if you see anybody from that Cabinet in a restaurant, in a department store, at a gasoline station, you get out and you create a crowd. And you push back on them. 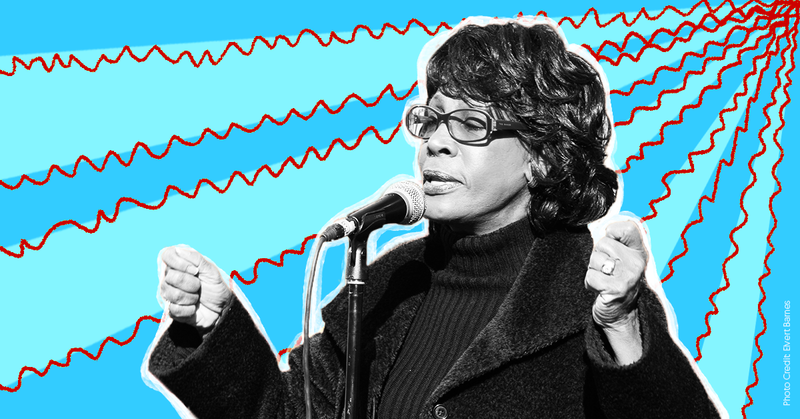 And you tell them they're not welcome anymore, anywhere.” Waters has since been attacked by people who are fretting over the “incivility” of her remarks. But right-wing critics have flung racist, sexist, and all-around vile comments at Waters for years. Fox's Newt Gingrich fantasized about Trump beating Waters in a boxing match. Infowars host Alex Jones likened Waters to a rabid dog. Trump ally and radio host Michael Savage called Waters “one of the most despicable people in the history” of Congress. Syndicated right-wing columnist Ann Coulter said that without affirmative action, Waters couldn't get a job "that didn't involve wearing a paper hat." Fox’s Laura Ingraham said she would prefer “Madea doing political commentary” over Waters.